From palace coups in the lost city of Hattusas to treachery in the Egyptian court of Tutankhamun, that is the world of I, the Sun. This is the saga of the Hittite King Suppiluliumas, and rings with authenticity and the passion of a world that existed 1400 years before the birth of Christ. They called him Great King, Favorite of the Storm God, the Valiant. 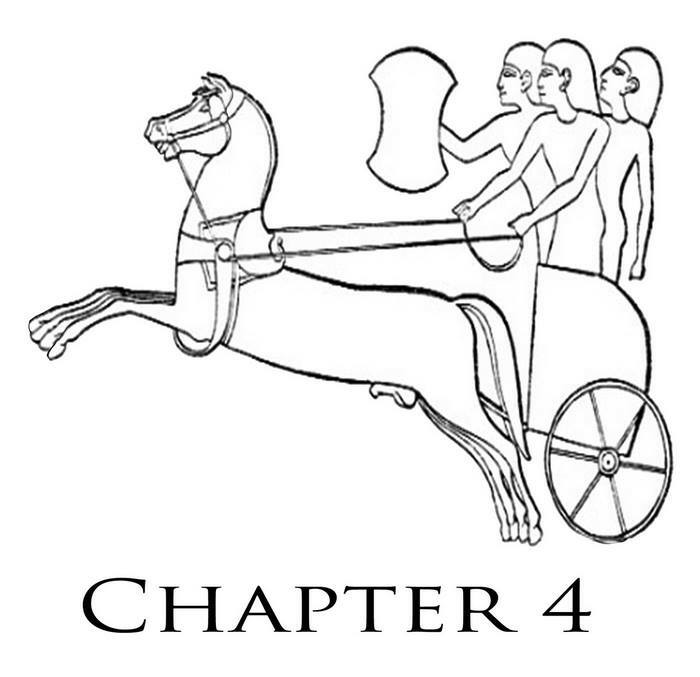 He conquered more than forty nations and brought fear and war to the very doorstep of 18th Dynasty Egypt, but he could not conquer the one woman he truly loved. 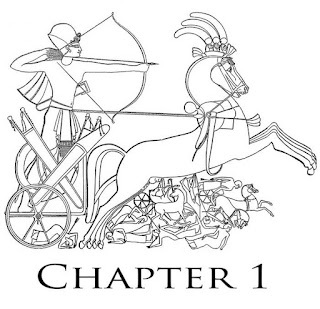 "This masterpiece of historical fiction was based on the actual writings and historical records of Suppiluliumas I, the great Hittite king who dominated the Middle East around the 14th century, BC. 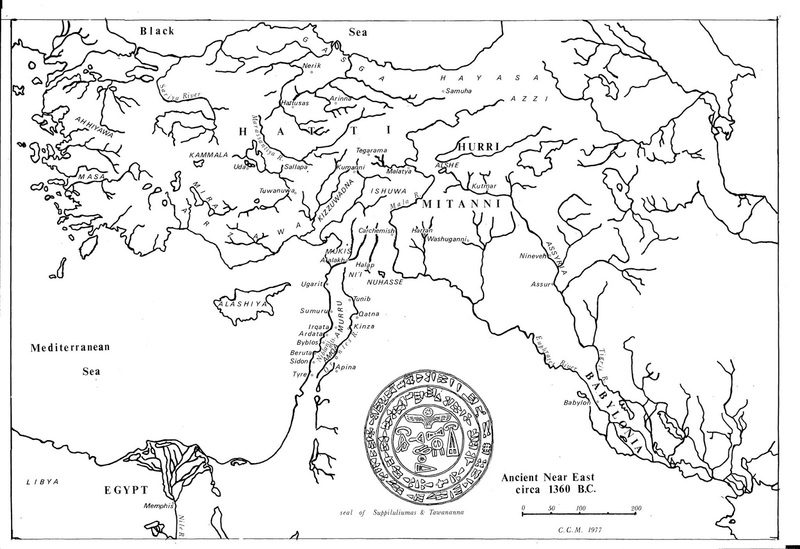 He rebuilt the old capital of Hattusas, and from there exercised his Imperial Power over the Hittite heartland, controlling the lands between the Mediterranean and Euphrates." My apartment had two rooms, lavish enough in a manly way, its walls covered with sere hunting scenes and floors strewn with trophy pelts, horned and fanged. Outside at each end of the corridor were posted armed guards, to whom my host had introduced me as he commended them into my service for the evening. I paced the quarters, feeling as if I had made camp between the jaws of the dragon, Illuyankas, and thought pernicious thoughts. After a time I fed the hearth, opening the shutters to roll up the curtains for the night. Sampling his wine, I wondered once more as to the wisdom of this undertaking. When at last the double doors rattled, then cracked open, I was brooding over my drink, sprawled on a settee strewn with a foxtail rug, and half expecting to see the pikes of the guards, for I had nearly decided I had made a mistake. It would not have been the first time a king’s pride had been his undoing. Thus I was up on my feet with dirk in hand, spilled wine dripping between my toes when she stepped through the doors and closed them behind her. “Truce, my lord Suppiluliumas? Surely what my father has told you of me has not made you fear for your life?” Her eyes were the colors of her father’s, but thrice as wide. Her hair, black as my own, tumbled unfettered over bare pale shoulders, wide and proud. Flushed, I mumbled that one might expect she would come announced, accompanied by handmaidens, or at least a chaperon. Hastily sheathing my blade, I stooped down to retrieve the fallen goblet. “Dear suitor, you are pleasing in my sight also,” she sighed, “but I fear this affair can never reach a satisfactory conclusion.” As she spoke she rose and, in three long strides that belied the delicacy of the primped lady before me, sat abruptly on the couch. Her adult manners regained, she stretched languorously and with a feline smile gestured that I do likewise. I pulled up a chair carved with stags and straddled it. She was fair enough to warrant all that had been risked; indeed, I no longer wondered what had driven me to seek her so ardently. Between certain women and men passion explodes like the stars that fall from heaven, bright and awe-inspiring and god-given – and brief. One woman in a thousand has had that affect on me. It is not love, but some affinity of flesh to flesh, yet, this obviously intelligent girl, who sat before me in as studied and alluring a fashion as might a temple prostitute, could not be taken merely to quench the fire she lit. And she knew it. Remembering all her father had said of her, I no longer discounted his cautions. I had a stock of well-turned phrases from my days as a young and eligible hero; I spent some of them in amenities, allowing her to serve me wine, letting her take her time coming around to it. Bravo, Janet! You know how I feel about you, your writing and everything you've taught me. Thank you so much for joining us today. Today on #OurAuthorGang, we meet one of my favorite authors, who is also my friend and mentor, Janet Morris. Her "The Sacred Band" series is still a high-water more in the genre of realistic heroic fantasy. 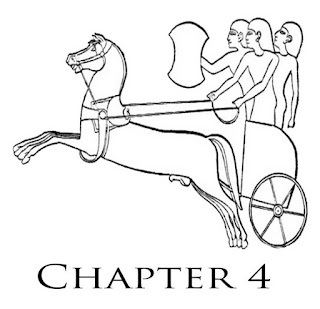 "I the Sun" is one of the great historical fantasy novels I've ever read. Cindy Smith, thanks so much for sharing I, the Sun. 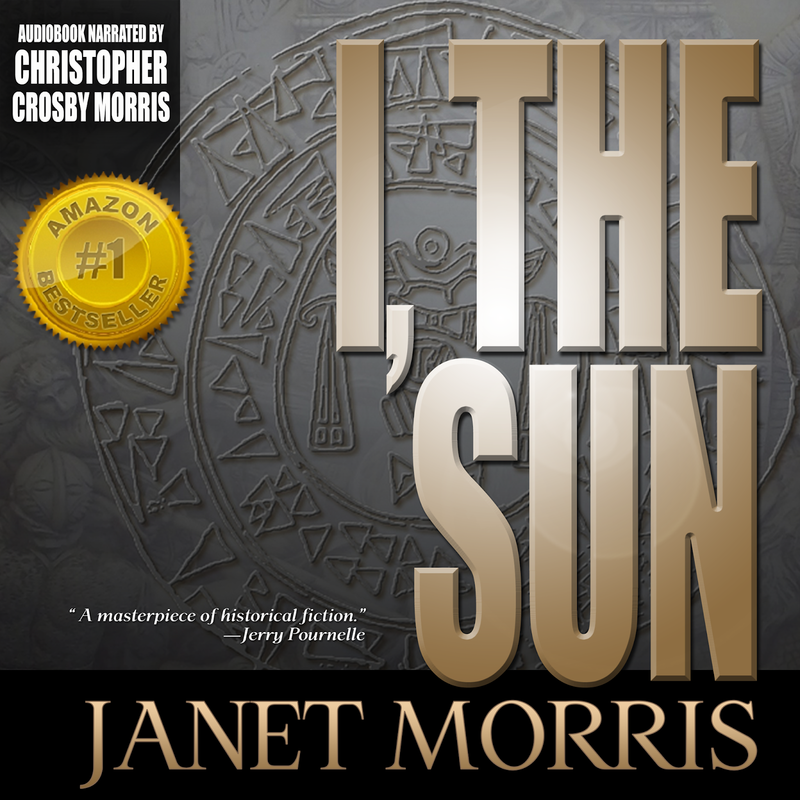 Janet Morris shares an excerpt of her amazing historical novel I, The Sun on #OurAuthorGang today. It is truly a masterful piece of writing! Stop by and check out her post! Oh my, that is utterly amazing! Thank you so much for joining us today Janet! Ruth de Jauregui, thanks so much. Looks exciting. I will add it to my tbr pile. We hope you like reading I, the Sun as much as we enjoyed writing it, Chris Weigand. Thanks for sharing I, the Sun, Chris Weigand. Thanks so much for sharing your incredible Egyptian historical fiction with us today. 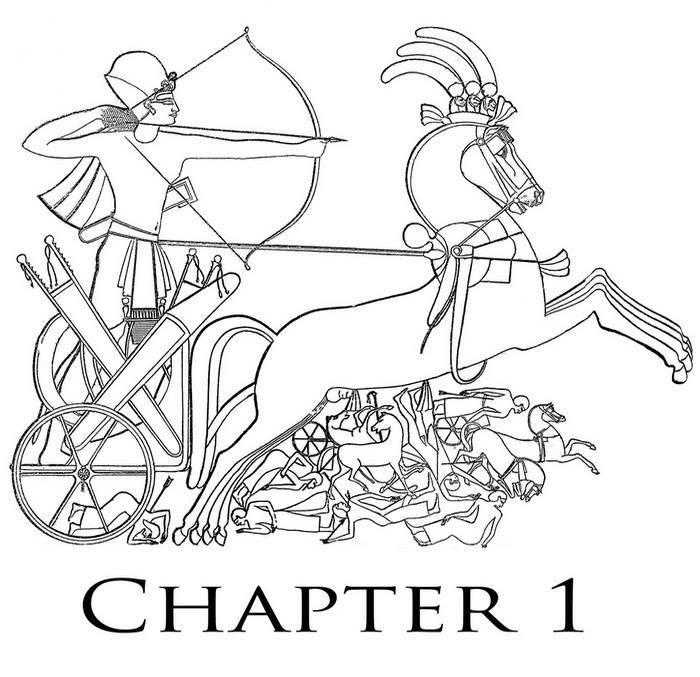 Today, we welcome historical fiction author Janet Morris to #OurAuthorGang. Thanks for having me, Toi Thomas. Just reading this sample of your work has mesmerized! 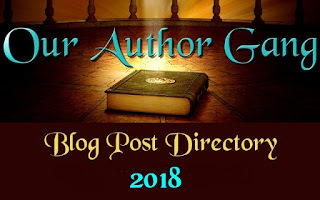 Sharing Google + Thank you for being a guest author. Thanks for your generous comment, Lorraine Carey. +Janet Morris You are most welcome. I have heard many great things about your novels. Thank you for introducing us to your historical fiction masterpiece Janet! Erika, thanks for inviting me, Erika M Szabo. We appreciate your interest in I, the Sun.